There are many wireless speaker systems out there. The most recent ones that have been gaining popularity are the Amazon Echo and Google Home systems. These are a new breed of smart speakers that offer more than just music playback. But that's for another blog entry. Today will be for a more traditional wireless audio system, the Sonos. Specifically, the Play 1. 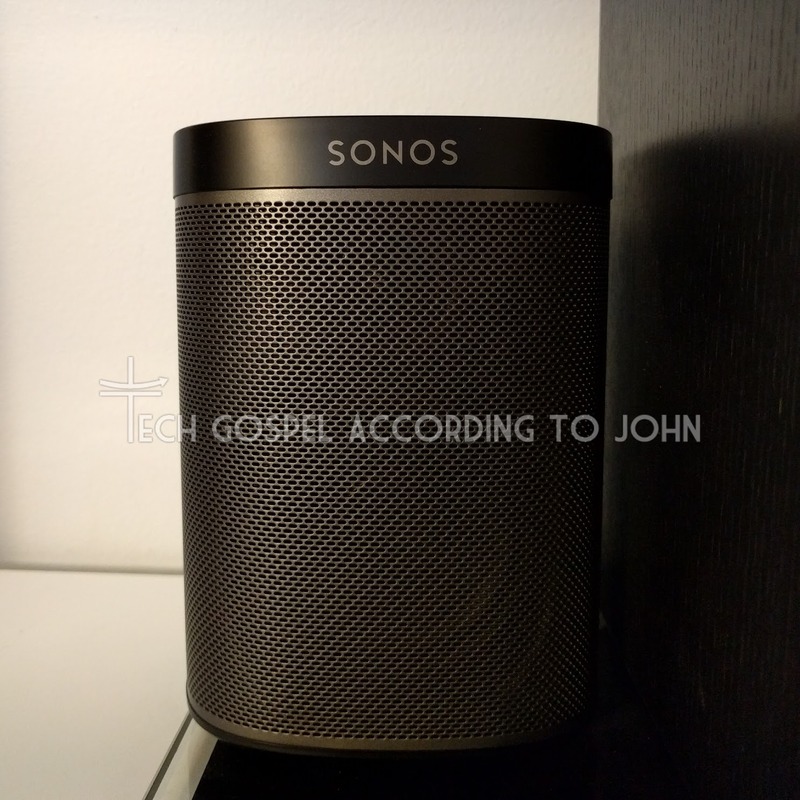 Sonos has been around for quite a while. And their product lineup hasn't really changed much. It offers less functionality than smart speakers, but the multi-room capabilities and the simplicity of the app are what really make it shine. Their app came at the heels of people playing music locally (stored on your computer or local hard drive) mostly through iTunes. But now that streaming services are more popular, smart speakers have become the weapon of choice for most people. 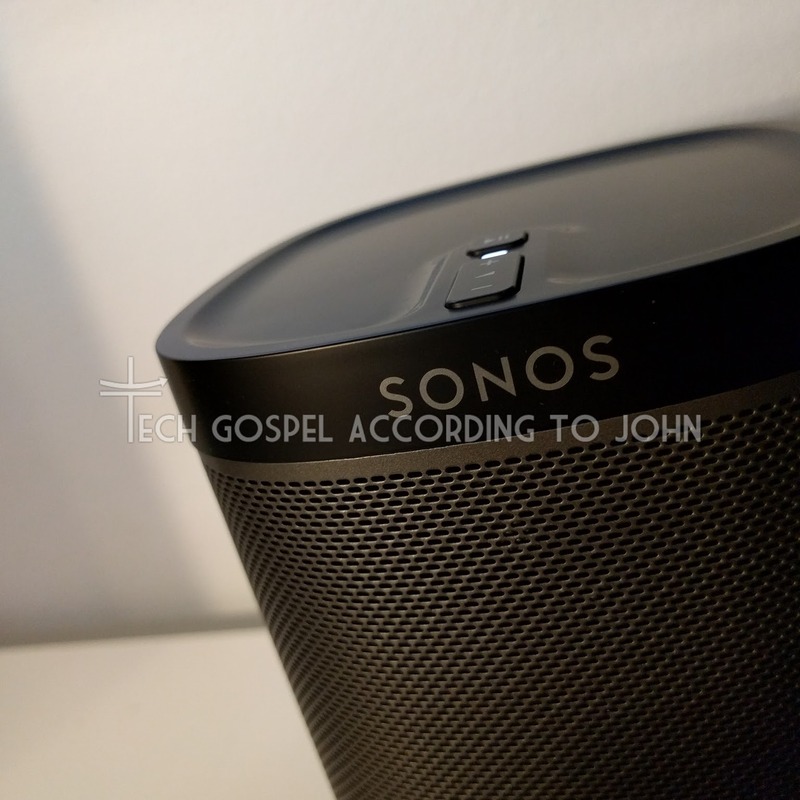 Why should you still pick Sonos over the others? Two main reasons. Simplicity and Multi-Room capabilities. Sonos isn't the only one with this capability. Bose would be the closest match, but I didn't like their app interface. Then there's Google Chromecast Audio which can do something similar but not quite and still relies on streaming services. Playing music in separate rooms isn't a simple task. Wiring up your home to a central amp and music server takes time, planning, and a lot of work. Doing it the wireless way isn't that simple either. Synchronizing playback and centralizing your source isn't for the average user either. Sonos does this quite simply and elegantly. My main consideration for the Sonos was "How easy would it be for anyone in my home to access my music and playback what they want". I needed something that could easily access my local music library as well as streaming services. Something that wouldn't be crippled if my internet connection went down (this is always a consideration of any tech I invest in). No other system offered ease of use like Sonos did. And for those that actually care about sound quality, Sonos sounds great. Disclaimer on my statement, it is NOT meant to be a listening room system. It is also not meant to be the solution for just a single room (there are others that can fulfill that need at a lower price point). It is meant for whole house, multi-room music. And it does that job extremely well. Even against larger more traditional systems, the Sonos Play 1 can hold its own. It's very easy to conceal, and it's also moisture-proof if you want music in your bathroom! Sonos is supposedly working with Amazon to integrate Alexa into their control UI, that would be an excellent combination and one that would bring Sonos back up to the front of the smart speaker pack. But even without it, Sonos is still one of the better multi-room systems available today. The ease of use and audio quality make it perfect for anyone in the home to enjoy great sound. It also helps that they have a wide array of products to suit your specific needs. From the easy to conceal Play1, to the Sound bar and wireless subwoofer for decent movie audio, Sonos is a great product family all around.